The Coldwater Journal is a record of personal observations and reflections from visits to the Coldwater campus. 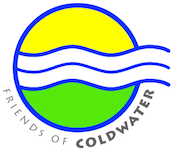 Please feel free to submit your thoughts and reflections about Coldwater for posting here on the FRIENDS of COLDWATER site via email. Some dog walkers refuse to clean up after their pets and allow them off-leash to chase wildlife. The Minneapolis Park and Recreation Board does not police its dog park according to National Park Service (NPS) authorities. Therefore, no more public parking at Coldwater. Lots of blame to go around. Everyone loses. It was actually dog-walkers who began the movement to save this park land. In the early 1990s, Carol Kratz, Mary Jo Iverson, James McNamara et.al. formed Park and River Alliance, tried to take a case into court, lost standing on a technicality, but then began collecting 12,000 signatures. They staffed a table on weekends at the (then) only entrance to Minnehaha dog park (at 54th Street) and educated people. Sierra Club volunteer Jill Walker joined in the effort to “Stop the RerouteSave the Park.” Word went out and the magical name of Minnehaha drew in Earth First! Minnehaha Free State was born. In December 1998 more than 800 police raided the encampment and arrested 36 people at a cost of about $15,000 per arrest. The late Congressman Martin O. Sabo noticed the abandoned Mississippi blufftop land and secured funding to move the old Bureau of Mines research campus back to public “green space” in what had been known as Coldwater Park from about 1890 to 1950. So thank you dog walkers who began the citizen’s movement to save Coldwater. Now NPS claims the 10-or-so free parking slots need to be converted into “community space.” Nothing about dog-doo or threatened wildlife in that Minnesota-nice way of avoiding the truth. NPS does not want to pay staff to enforce dog waste pick-up at the top of the Mississippi bluff. The Minneapolis Park Board does not want to pay to enforce leash or waste regulations although dog parks are a money-makerpay to play. In the first quarter of this year the Minneapolis Park Board sold 1,252 dog park permits at $35 per resident or $60 for non-resident dog owners for their seven off-leash dog parks. However, in the case of Minnehaha dog park, the land is not owned by the Park Board. The “dog park” includes an 11-acre Mississippi island named “Island 108.” The island is property of the NPS. The federal Park Service does not or perhaps cannot police the island. Apparently the Minneapolis Park Board also does not or cannot enforce regulations. Several years-ago then-NPS superintendent Paul Labovitz told me it is impossible to fence off the dog park island because the river would take down any fence. Dog park access crosses city, regional, state and federal boundaries. Land management devolves to NPS. People management is obviously not working. Coldwater Park, at 5601 Minnehaha Park Drive, is not served by bus or light rail lines with stops more than a half-mile away at 54th Street. Nearest neighborhood free parking is at least a half mile away. Pay parking is available on the park access road. Nice Ride bikes can be rented at 54th Street but not ridden in Coldwater Park due to soft paths that also inhibit wheeled walkers and wheel chairs. The immediate Coldwater area began its American history as a civilian pioneer community in the 1820s to service Fort Snelling while the spring furnished potable water to the Fort for a century. The settlement, called Camp Coldwater, provided traders, interpreters, guides, servants, wives, baby sitters, missionaries and liquor. It was a meeting of Native, European and African-Americans. In the 1830s Fort authorities began to forcibly evict settlers ostensibly to preserve game and firewood. Dred Scott drank Coldwater while he was stationed at the Fort 1836-40 where he met and married his enslaved wife, Harriet. Black and Native marriages were not officially recognized. Scott based his famous federal case for freedom from slavery in part on his residency in the then-free Wisconsin Territory. Scott lost his suit for freedom because he was found to be a slave and therefore not “a person” and had no right to bring a case into federal court. The Scott decision of 1857 led to the Plessey “separate but equal” 1896 decision which was judicially reconciled in 1954 with Brown v. Board of Education, the landmark Supreme Court school desegregation case. What we lose when we ignore Coldwater is our own cultural and geographic history. Knowing where we are is part of knowing who we are. “We begin history here in 1820,” says NPS Superintendent John Anfinson. Coldwater has been flowing at least 10,000-years. A 9,000-year-old bison spear point was uncovered at the 1996 Sibley House dig in Mendota. Bison then were twice the size of today’s buffalo. The spear point was mined north of Mankato along the Minnesota River, Robert Clouse, PhD, state archaeologist told me. After NPS took control of the 27-acre Coldwater property in 2011 the campus was clear-cut and the seven-circuit labyrinth was destroyed. Water experts since way before Roman times have preserved trees around springs in order to preserve spring water. The unwritten, understood rule is: Never cut trees around a spring. Springs need shade; Coldwater’s Spring House used to be roofed. In the desert springs only run at night. The Coldwater labyrinth had more visitors than the Spring had in the late 1990s and early 2000s because it was so approachable. People would come and walk the labyrinth path until NSP dug out and scattered the rock and tree objects left by the anonymous community of Coldwater supporters. The labyrinth was disappeared and the dog-walkers are unwelcome. You wonder about the Dakota man who showed the 5th Infantry Troops under the command of Lt. Col. Henry Leavenworth the clean, safe water issuing out of the limestone bedrock in May of 1820. One out of five soldiers died over the previous winter due to “unsanitary” conditions. River water was not potable in 1820. Eighteen-million Americans currently drink treated Mississippi River water. Water is critical in our climate crisis century. Water is driving weather patterns and good water is driving migration and war. For now, Coldwater continues to pour out water without discrimination. National Park Service authorities have closed public parking at Coldwater Springs, a Dakota sacred site. The park's former public parking area will be “transformed into a community space” at the entrance to this 27-acre park. So, you wonder what the real reason is. continued» A walker with a sit and wheels does not work on the paths because they are too rough. An upright walker with wheels in the front does not work for the same reason. A wheelchair, especially the kind you have to push, is rough going. A cane is possible but difficult. No one challenges the fact that the Minnehaha Park Area Regional Sewer Improvement Project needs to proceed. The conundrum is how to execute the project and protect historic Coldwater Springs within federal and state laws and the 1805 Dakota-Pike treaty provisions “to permit the Sioux to pass, repass, hunt or make other uses of the said districts, as they have formerly done.” That includes collecting water from Coldwater for ceremonial use and drinking. Blindly boring holes in the bedrock above Minnehaha Falls seems to be a failure of planning. The priority before any new construction project begins that might affect Coldwater is to delineate the watershed. Nobody really knows where Coldwater’s source waters come from. The state transportation department (MnDOT) claims the underground water to Coldwater comes from Lake Minnetonka, 12-plus miles to the west-northwest. The late Bob Brown, chair of the Mendota Mdewakanton Dakota Community, said the source of Coldwater was the hill between the Mississippi and Minnesota rivers, Taku Wakan Tipi (the hill called Something Sacred Dwells Here), linked to the Dakota water spirit Un K’te Hi. Geo-hydrologist Kelton Barr theorized that the Coldwater flow comes from an approximate 1⁄2-mile circumference to the north, west and south of the Spring. The idea of drilling permanent holes in the bedrock for a temporary construction project is about saving money, not preserving the Springs. The conflicting priorities can be reduced to timing and money. When MCES claims “we can’t afford to wait” because of the danger of raw sewage contaminating the Mississippi out of which 18-million Americans drink, it’s hard to argue. Over-ruling constitutional guarantees (all treaties “shall be the supreme law of the land” Article 6, Section 2), federal (1978 American Indian Religious Freedom Act) and state laws (2001 Coldwater protection act), prioritizes unelected agency decisions above law and geographic reality. In this case there is an obvious solution. 1) Protect Coldwater by mapping the groundwater sources to this 10,000-year-old spring at an estimated cost of $45,000 so MCES can avoid further illegal loss of flow. The sewer project budget is $3.1-million. Delineating Coldwater’s footprint is a fraction of the total budget and would seem like basic research in a multi-million-dollar public infrastructure project on historic common property. In the summer of 1976 Coldwater was used as an emergency drinking water supply when south Minneapolis water became funky and intolerable to some people. The City of Minneapolis has a two (2) day water supply as mandated by law. The Great Medicine Spring in Theodore Wirth Park and nearby Glenwood Spring were both permanently dewatered with construction of Interstate-394 in the late 1980s. The I-394 corridor is dewatered at a daily rate of about 2.5-million gallons; Chuck Howe at MnDOT designed the system. Coldwater is the last natural spring of size in Hennepin County. The only other major spring is the William-Miller spring that issues out of a pipe on the downhill side of Spring Road in Eden Prairie. 2) “We can’t wait” has been the mantra of MCES for several years now. The sewer project need not be postponed. Transferring sewage into the planned temporary pipes for this three-year project could begin during groundwater mapping. Blasting 3-foot wide holes telescoped 80-feet down through limestone and shale into the soft sandstone is a very linear intrusion in an underground environment where groundwater snakes through cracks in the limestone, and where water obeys gravity. Three-hundred gallons of groundwater per minute were dewatered at 50th Street and Hiawatha in 2000 when a grit chamber cut exposed multiple underground flows. That location is south of Minnehaha Falls and north of Coldwater and that is a lot of water and we don’t know where it went on its gravity-driven path to the Mississippi. If “groundwater will just flow around” the grit chamber or the Highway 55/62 interchange or any new impediment, and continue on its former pathwhy have so many seeps at the top of the Mississippi bluff disappeared? Or why has Coldwater lost 65,000 gallons per day? Making Swiss cheese of the bedrock just north of Minnehaha Falls is a risky “solution.” In 1878 Minnehaha Falls was the first state park in the United Statessecond was Niagara Falls. Blasting two or maybe three ventilation holes may have been “state of the art” or “best practice” in the past. How about some creative thinking in this new millennium? I was a newspaper reporter in Cocoa, Florida, near Cape Canaveral, during moon launch days. We know astronauts breathed successfully in space because we interviewed them before launch and when they returned. If the professionals at MCES decide to respect the laws and work within the system they will seek alternative technology to preserve the intricate water veins and capillaries that course through the historic Minnehaha-Coldwater area. Instead of the arbitrary hit-or-miss plan being pedaled, the first order would be to “see” the underground land/water-scape. In-and-out forced air ventilation 80-feet underground for the one-thousand-foot horizontal sewer repair for two-years for four-or-five workers argues for a second approach, a new look at safety for workers already using breathing masks. Whether Metropolitan Council Environmental Services chooses to obey the laws or limit its vision of the sewer project to 1,000-feet of underground pipe is a litmus test for 21st century ethics. Decreased flow or declining water quality abrogates the 1805 Dakota-Pike treaty, environmental protection laws, and the freedom of religious practice guaranteed in the First Amendment. Coldwater still flows at about 65,000 gallons a day out of the Spring House(i), down from 130,000 gal/day in the late 1990s established pre-Hiawatha construction by Kelton Barr et.al. The loss of half the flow belies the promise of “no loss” experts repeated and repeated. Every cut, cuts Coldwater: the 55 reroute, the Hiawatha light rail, the gas line project parallel to the highway, new housing at the Veterans Administration. One “improvement” after another in a never-ending cycle of development is a growing cancer on the historic Minnehaha-Coldwater district. The ethics of appointed government seems to be if you can’t afford to catch us in courttoo bad. According to an email sent to selected recipients “the Met Council will approve the project.” If whatever plan sent to the Met Council would be approved then what is the point of engaging public participation? i See http://www.rangeroncall.com/coldwater/CWWaterflow.html for Coldwater Springs flow rate monitored by the National Park Service (NPS). Note the conversion of GPM (gallons per minute) to gallons per day in this comment. Wetland A, north of Coldwater, is monitored, is spring-fed and dewatered, and formerly ran under the Bureau of Mines library building. At least four unmonitored low spots in Coldwater parkland are also dewatered via pipes dumping groundwater into the Mississippi gorge. NPS does not measure the flow of the created runnel south of the reservoir as was incorrectly reported at the 5/22/18 MCES public hearing. Groundwater in that area formerly flowed into the reservoir since it is uphill. NPS dug a channel for this groundwater to create an offshoot streamlet however much of the water stagnates or simply oozes into the land or trickles back into the reservoir. The Met Council has announced a public comment period on a sewer replacement project that involves drilling holes in the bedrock north of Coldwater. Comments will only be accepted until Friday, June 1st. This is a very short comment period for project that’s been in the works for three years. The sewer project would rebuild the new, larger sewer in situ, that is, where the old sewer currently lays. The main point now is to delineate the watershed that supplies Coldwater Springs BEFORE any further construction. Coldwater stills flows at about 67,000 gallons a day out of the Spring House, down from 130,000 gal/day in the late 1990s. The loss of almost half the flow belies the promise of “no loss” experts have repeated and repeated. Every cut, cuts Coldwater: the 55 reroute, the light rail, the gas line project parallel to the highway, new housing at the Veterans Administration. One “improvement” after another in a never-ending cycle of development is a growing cancer on the historic Minnehaha-Coldwater district. Written comments can be sent to Tim O’Donnell, 390 Robert St. N., St. Paul MN 55101; Fax to Tim O’Donnell at 651-602-1477; email to public.info@metc.state.mn.us; or record comments on the Met Council Public Comment Line 651-602-1500. According to an email sent to selected recipients “the Met Council will approve the project.” If whatever plan sent to the Met Council would be approved then what is the point of engaging public participation? Nobody really knows where Coldwater’s source waters come from. Coldwater is the last major natural spring in our county, at least 10,000-years-old, sacred to the Dakota oyate (nation), Birthplace of Minnesota, furnished water to Fort Snelling just above the confluence of the Mississippi and Minnesota rivers from 1820 to 1920. Dred Scott drank Coldwater water when he was stationed at the Fort 1836-40 where he met and married his wife Harriet. Scott used his residency in the then-free Wisconsin Territory in his famous case for freedom from slavery, which he lost. Not until 1954 with Brown vs. Board of Education did the Supreme Court’s “separate but equal” interpretation get struck down. The priority before any new construction project begins that might affect Coldwater is to delineate the watershed. The proposed bedrock cuts would provide air circulation for underground workers replacing the old sewer about 80-feet underground. But workers would be wearing respirators anyway. What alternative technology would provide breathable air? The idea of drilling permanent holes in the bedrock for a temporary construction project is about saving money, not preserving Coldwater Springs. The state transportation department claims the underground water to Coldwater comes from Lake Minnetonka, 12-plus miles to the west. The late Bob Brown, chair of the Mendota Mdewakanton Dakota Community, said the source of Coldwater was the top of the bluff between the Mississippi and Minnesota rivers, Taku Wakan Tipi (the hill called Something Sacred Dwells Here), linked to the Dakota water spirit Un K’te Hi. Geo-hydrologist Kelton Barr theorized that the Coldwater flow comes from an approximate ½-mile circumference to the north, west and south of the spring. The unelected Metropolitan Council plans for a “Minnehaha Park Area Regional Sewer Improvement Project” call for drilling two or three holes 80-feet down through soil, limestone, shale bedrock and into the soft sandstone where the sewer pipe lays. The 2001 Coldwater protection bill recognizes the historic, unique status of Coldwater. The Native American Religious Freedom Act of 1978 and the 1805 Dakota “Pike” treaty mandate access for indigenous people to continue to practice their water rituals. Decreased flow or declining water quality abrogates the treaty, the environmental protection laws, and the freedom of religious practice guaranteed in the First Amendment. It is time to speak up. MnDOT claims the underground water comes from Lake Minnetonka. The late Bob Brown, chair of the Mendota Dakota Community, said the source of Coldwater was the top of the bluff between the Mississippi and Minnesota rivers, Taku Wakan Tipi (the hill called Something Sacred Dwells Here), linked to the Dakota water spirit Un K’te Hi. Metropolitan Council plans for a “Minnehaha Park Area Regional Sewer Improvement Project” call for drilling two or three holes 80-feet down through soil, limestone, shale bedrock and into the soft sandstone where the sewer pipe lies. It is the Platteville limestone layer where mysterious streams of groundwater run, pulled by gravity. Doublespeak. Oxymoron. The same kind of “no loss of flow” guarantees were repeated for the Highway 55 rerouteHiawatha light rail construction. The result was a decrease of 46,000 gallons-a-day as measured by MnDOT for two-years post construction. The proposed long vertical shafts would provide air circulation for underground workers. Construction equipment would use other larger, existing four-foot wide access drops. Yes, worker safety is critical. But workers would be wearing respirators anyway. What alternative technology would provide breathable air? After all we sent people safely to the moon. At the same time that Coldwater’s in-coming groundwater is threatened by the proposed sewer project, the National Park Service continues to dewater within the park north of the Spring House where the groundwater daylights. From the south MnDOT dewaters the interchange of Highway 55 and 62. The priority before any new construction project begins that might affect Coldwater is to delineate the watershed supplying this last natural spring in Hennepin County. Coldwater is at least 10,000-years-old; the idea of drilling permanent holes in the bedrock for a temporary construction project is about saving money, not preserving Coldwater Springs. The 2001 Coldwater protection bill recognizes the unique status of Coldwater which is the birthplace of the state of Minnesota, the water source for Fort Snelling from 1820 to 1920. The Native American Religious Freedom Act of 1978 and the 1805 Dakota “Pike” treaty mandate access for indigenous people to continue to practice their water rituals. Decreased flow or declining water quality abrogates the treaty, the laws and the freedom of religious practice guaranteed in the First Amendment. The Met Council has announced a public comment meeting on the sewer project for Tuesday, May 22. Verbal comments will be recorded at Hiawatha School Recreation Center, 4305 East 42nd Street, Minneapolis, 6:30 to 8 pm. In addition written comments can be sent to Tim O’Donnell, 390 Robert St. N., St. Paul MN 55101; Fax to Tim O’Donnell at 651-602-1477; email to public.info@metc.state.mn.us; or record comments on the Met Council Public Comment Line 651-602-1500. Information meeting on a proposed sewer project this Tuesday, April 24, 2018, 5-7 pm at St. Peder’s Lutheran Church, 4600 East 42nd Street, in south Minneapolis. The project includes two vertical shafts or poles, each three feet in diameter, that the Metropolitan Council proposes to drill through land and bedrock that may carry groundwater to Coldwater. Sources of 10,000-year-old Coldwater Springs remain part of the mysterious unknown. MnDOT claims the underground water comes from Lake Minnetonka. U-MN hydrogeology Prof. Calvin Alexander, PhD, reported that one of his graduate students studied the outflow under Coldwater’s Spring House for months and found that it is actually three (3) distinct sources, each with different chemistry. Think of many small flows like the capillaries in our bodies rather than a big artery. The purpose of the two vertical pipes would be to circulate air down 80-feet to workers replacing the 800-feet of sewer pipe way down below the bedrock in sandstone. Workers would need to wear protective clothing and safe breathing apparatus. There are already two larger pipes, four-feet in diameter, in the construction area for equipment. The sewage would be pumped north to Lake Street and then across the Mississippi to St. Paul for treatment. We will talk about the sewer project at the True Spring Full Moon Walk at Sacred Coldwater Springs, Sunday, April 29. Gather in the Coldwater Springs free parking lot, 7 pm. Between 1836-40 Dred Scott lived at Fort Snelling, in what was then the Wisconsin Territory, a "free territory" where slavery was prohibited. He had lived at Fort Armstrong in the free state of Illinois with his master, Army surgeon Dr. John Emerson, from 1833-35. Dred Scott's famous suit for freedom from slavery was based on his residency in the free territory now called Minnesota and in the free state of Illinois. In 1857, on March 6, Dred Scott was found to be "not a person." This finding by the Supreme Court of the United States was ridiculed inside the country and abroad. Like the "illegal aliens" of today, the "enemy combatants" and the extradited and disappeared, slaves had no legal standing. The Scott decision is considered to be one of the five most consequential Supreme Court cases. In the Dred Scott decision, Minnesota played a part in the cultural battle against slavery in the United States. Like the war on terrorism and "just war" debates, the great slave debate divided the nation, divided families, and was as much about finances as ethics. Dred Scott, a slave, sued for his freedom in 1846 in St. Louis, Missouri. After an 11-year court battle Scott, Harriet, his wife and the mother of their daughters, Eliza and Lizzie, lost their freedom case. The high court found that Scott was a slave, and was therefore not eligible to bring his case for freedom from slavery into the federal court system. Dred Scott was found to be "not a person," and therefore had no personhood rights in the federal courts of the United States. Now corporations are considered "persons" under the law. Scott was born in Virginia, 1795, a slave child to the Blow family, named Sam. The family and slaves moved west settling in St. Louis, Missouri. He changed his name after his first wife was sold "down the river." He was 19-years-old, ran away as Sam and returned as Dred Scott, caught and beaten by a gang of young thugs who returned slaves to their masters for reward money. Scott met and married his wife, Harriet Robinson, at Fort Snelling. Their wedding was performed by Indian agent Lawrence Taliaferro. It was illegal for blacks to marry. Native American marriages were also unrecognized. The Scott case was initiated in 1846, six-months after Dr. Emerson's widow refused to permit Scott to purchase his emancipation. Scott lost a first trial on a technicality, won his freedom on retrial, and lost in the Missouri Supreme Court. This was a contrary opinion because Missouri courts consistently ruled that slaves taken into free states were automatically free. The case was maneuvered from state to federal court by anti-slavery interests looking for a definitive legal blow to the institution of slavery. On January 1, 1853 in St. Louis, the family's deranged master ordered Dred Scott, his wife Harriet and their two daughters into a barn where he forced the adults to strip and whipped them with a horse whip for "being worthless and insolent." Sanford then spanked the girls Eliza, 13, and Lizzie, 7, and locked the family inside the barn. In the 1850s slaves were quietly freed if outrageous abuse became public knowledge. This blindness allowed the institution of slavery to continue while rooting out "a few bad apples." A few bad apples among the Abu Ghraib guards were rooted out but prisoner terrorism continuesthink U.S. prisoner abuse, think “black sites” where non-persons are held indefinitely in non-sites. According to Dr. Steven Miles, professor of medicine and bioethics at the University of Minnesota-Minneapolis, torturing people is also devastating to the bad apples. Their acts self-contaminate and leach into the national character. The Dred Scott family lost their 11-year battle for freedom in the "most unpopular Supreme Court decision in the (then) 70-year history of the court." Into the rising fire of abolitionist sentiment in Scott v. Sandford (1846-57), the high court declared Dred Scott to be ineligible to file a suit in federal court because he was a slave, that is property, and "not a person." The Dred Scott decision ruled that blacks, whether slave or free "had no rights which the white man was bound to respect." So the Supreme Court declared persons to be property, and now corporations to be people. The Scott case legalized inequality and laid the groundwork for "separate but equal" racial discrimination throughout the nation which was not overturned until 1954 with Brown v. Board of (Topeka, Kansas) Education. The internment of Japanese-Americans during World War II and of Muslims in the current wars on terrorism, like reservation restrictions for Native Americans, illustrate the breath of racist mentalityAmerica’s original sin. After the Supreme Court decision Dred Scott's original masters, the Blow family, purchased and freed the Scotts. Dred died a free man the following year of tuberculosis. Harriet survived into grandmother-hood until 1876. Their elder daughter Eliza Scott married and had two sons. Lizzie never married but, following her sister's early death, she helped raise her nephews. One of Eliza's sons died young, but the other married and has descendants, some of whom still live in St. Louis. Harriet Beecher Stowe, author of Uncle Tom's Cabin (1853), published a two-volume novel about runaway slaves, Dred, in 1856 (the year before the Scott Supreme Court decision). One of the principal conspirators in Nat Turner’s Rebellion, Southampton County, Virginia 1831, was named Dred “a name not unusual among the slaves and generally given to those of great physical force.” Dred Scott, short, slight and tubercular, was a powerhouse. In case you missed the Dred Scott story in your local schools read MRS. DRED SCOTT by Lea VanderVelde. The first half of the book is a lively, detailed account of early Fort Snelling. VanderVelde’s exhaustive research includes the Scotts, Native Americans, homes of the period, food, Fort Snelling politics, the extreme weather, and a sense of the historical time in a very readable book. In the future a permit will be required to cut down a tree. In 2011 the National Park Service clear cut Coldwater Park. Cutting trees around a spring is an environmental apostacysomething between a crime, a sin and stupidity. Trees make oxygen, corral and clean water, hold soil in place, calm the winds and sing, bestow shade and provide the building blocks of civilization, since the first campfire, cooking, keeping warm, papyrus bookfrom saddles to shelters, trees comfort people. Trees live in communities and share nutrients underground. Trees are a good model for human organization. Every religion has a tree: Dakota Sun Dance around a cottonwood, the Son of God died on a cedar, Buddha sat under a pipal fig. Every climate expert talks about the importance of planting trees. Planting a tree is cheaper than erecting a solar panel. Trees can stabilize weather and neighborhoods because a wooded neighborhood is more peaceful. It’s a fact. In Minnesota this forest angled from southeast to northwest including Hennepin County. A rich diversity of trees lived here: oaks (red, white, black, pin, northern), elms and hackberry, sugar maples and box elders for maple sap, basswood (linden), ironwood, hickory, ash (now losing to the emerald ash borer), walnut, aspen, cedar (arborvitae), and water-lovers, locust, cottonwood, tamarack, birch. This is just some of the tree community where, it was said, a squirrel could travel from tree to tree from the Atlantic Ocean to half way across the continent. Along the western edge of North America recent California fires have killed 27-million trees. Plant a tree in 2018. Planting a tree is an act of belief in the future.